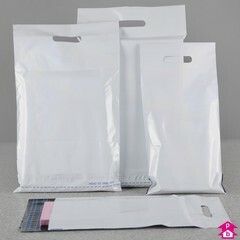 Co-extruded white mailing bags with handles. 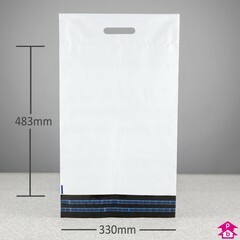 These are multi use bags, designed to allow easy handling. The carry handle allows you to carry items in a secure way, making them ideal for distribution of sales - online or in store. 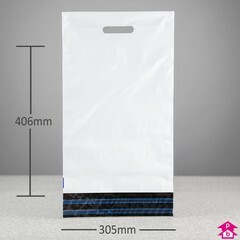 Each bag also comes with a double seal to enable easy returns. 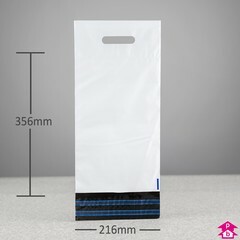 These bags are also perfect for secure sales such as duty free and high value concessions.